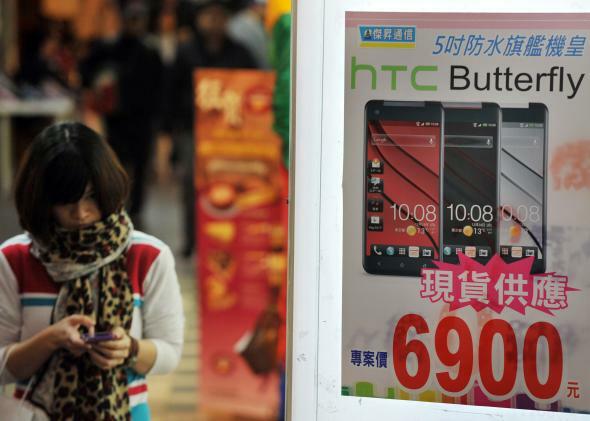 Samsung fined in Taiwan for fake online comments bashing rival HTC. HTC was having a hard enough time selling its phones even before Samsung’s astroturfing campaign. The AP reported today that Taiwan’s Fair Trade Commission has slapped Samsung with a $340,000 fine for paying local students to pose as online commenters disappointed with the performance of cellphones made by its Taipei-based rival, HTC. The fine won’t put much of a dent in the South Korean behemoth’s marketing budget, which is rumored to be upwards of $10 billion a year. Still, not the most flattering outcome, especially for a company that was already crushing poor HTC in market share. Marketing executive 1: Our Galaxy Note and Galaxy S3 are some of the best-selling cellphones on the market, and yet some consumers persist in buying other cellphones, like the HTC One X. We need them to stop doing that. Any ideas? Marketing executive 2: We’ve got to find the conversations where people are talking about the HTC One X, and then stamp them out. Where are people talking about the HTC One X? Online comment boards, maybe? Marketing executive 1: Yes! I bet those scoundrels are talking about the HTC One X on online comment boards. We should go in there and tell them how terrible it is. But wait: We’re Samsung marketing executives. Do you think it might look bad if people knew we were spending our time trashing other people’s phones on online comment boards? Marketing executive 1: Genius! Write up some nasty things for them to say about the HTC One X, and maybe have them trash some of their other phones while they’re at it. They can say a nice thing or two about our phones, but let’s not go overboard. Remember the first rule of online commenting: Keep it negative. Any questions? Marketing executive 2 (interjecting): Shhh! You know we’re never to speak of classified ops like “Project Fanboy” in a setting like this. Junior associate: Eek. Sorry. Forget I said anything. HTC sounds good to me.